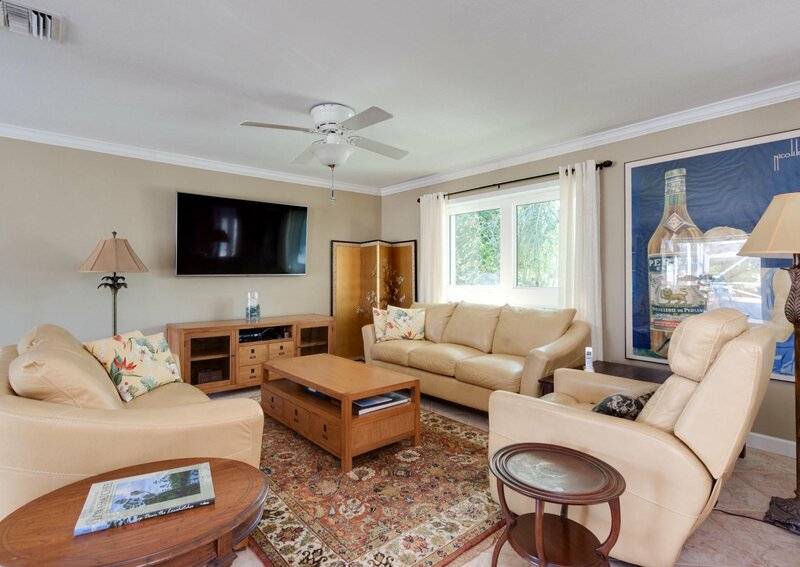 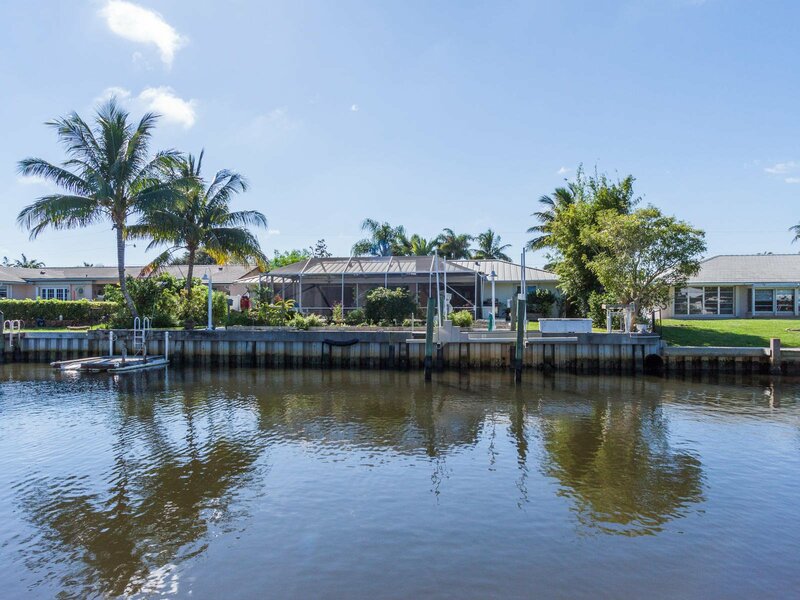 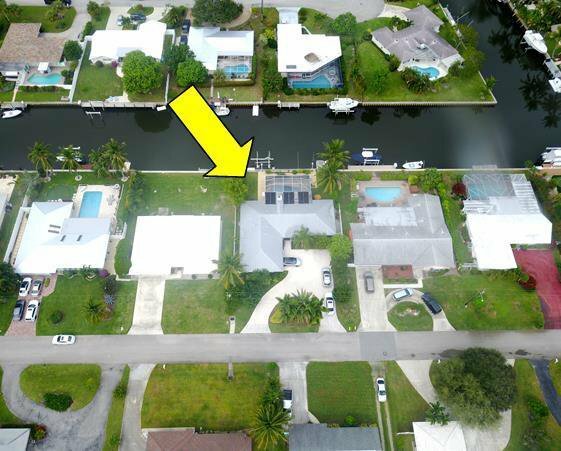 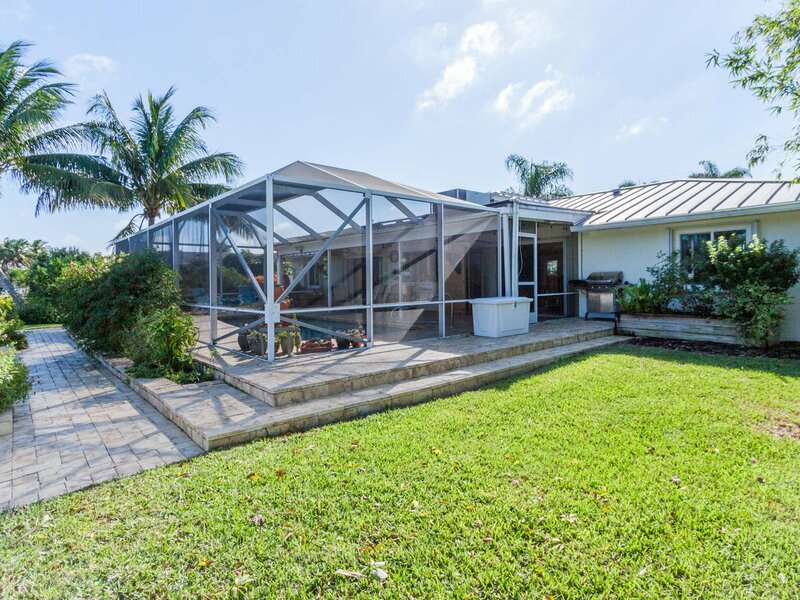 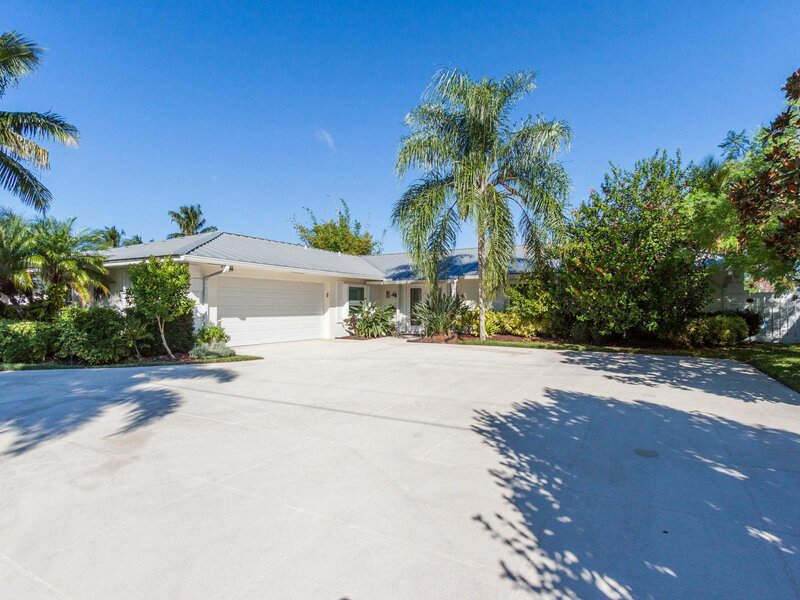 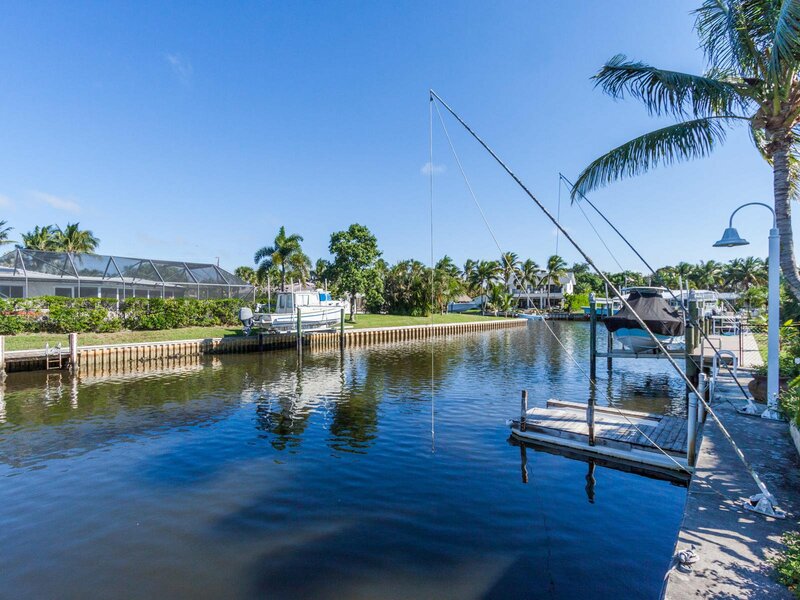 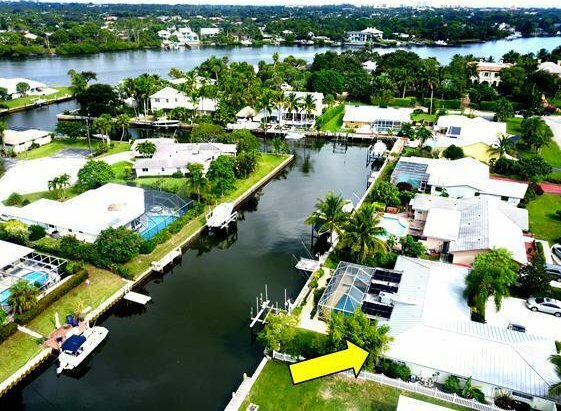 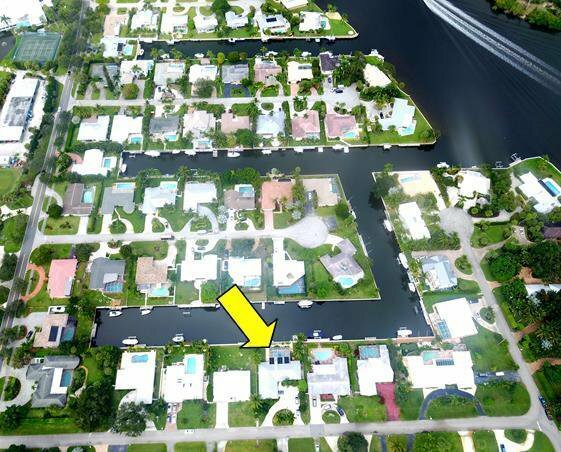 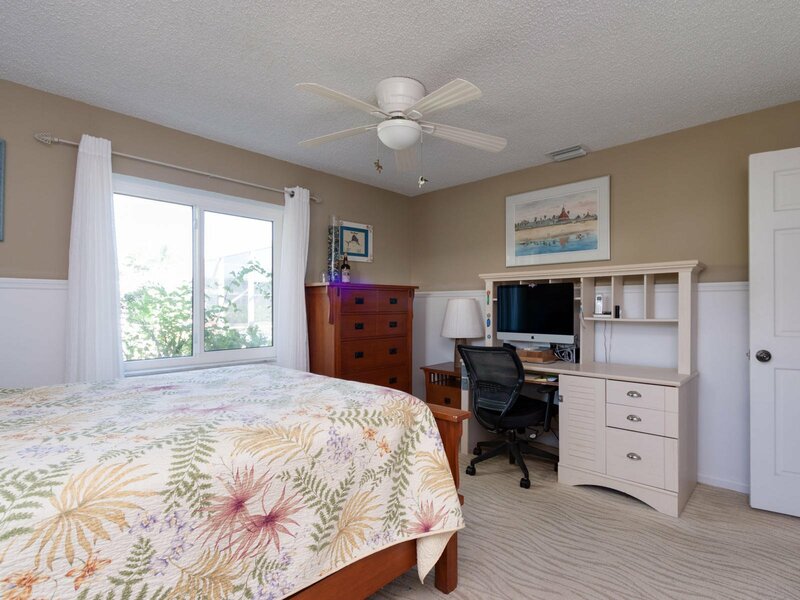 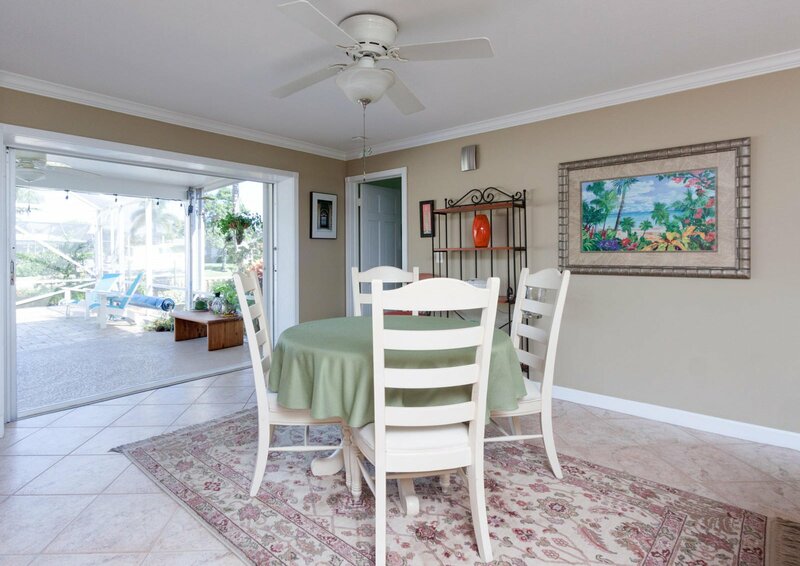 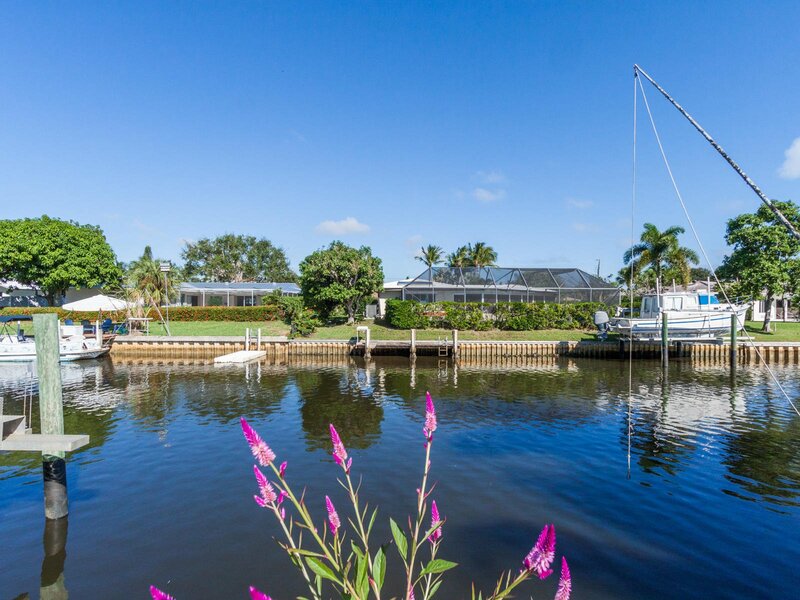 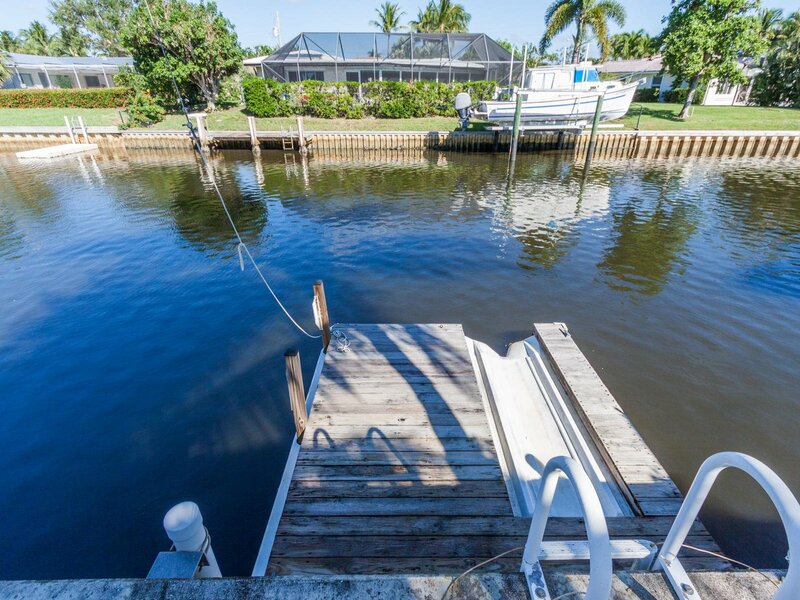 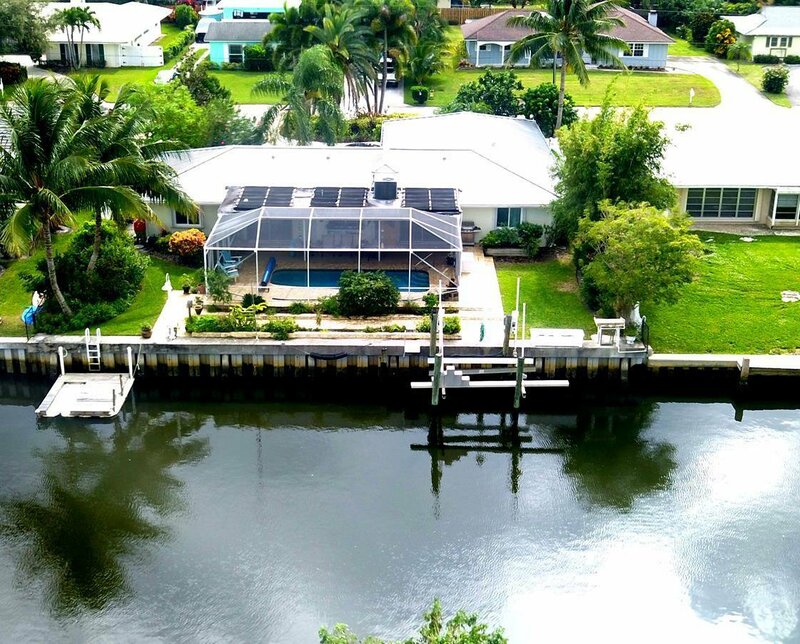 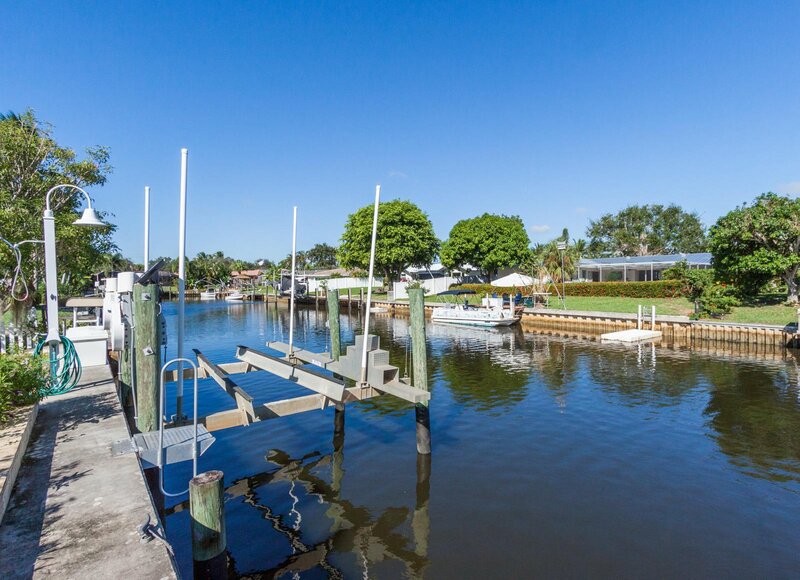 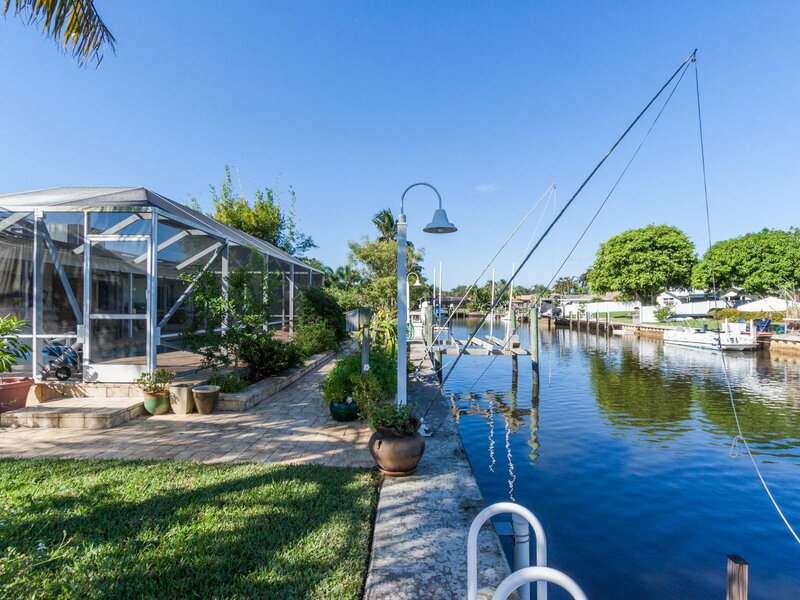 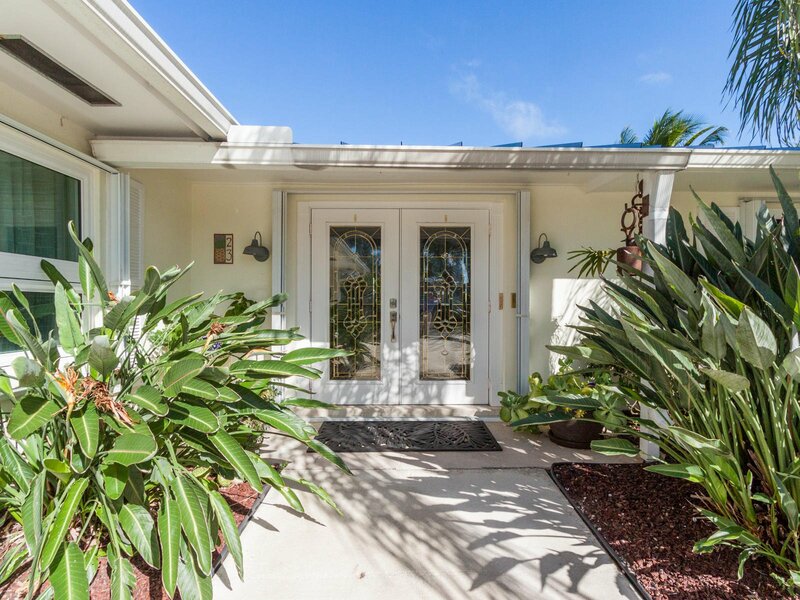 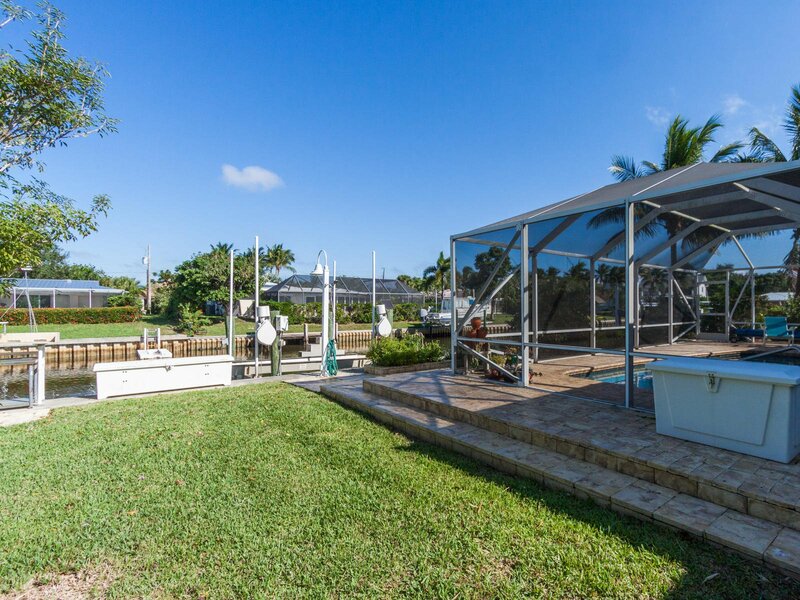 Updated waterfront home with a private pool, private deep water dockage with 12K lift, newer seawall and direct access to the Intracoastal waterway. 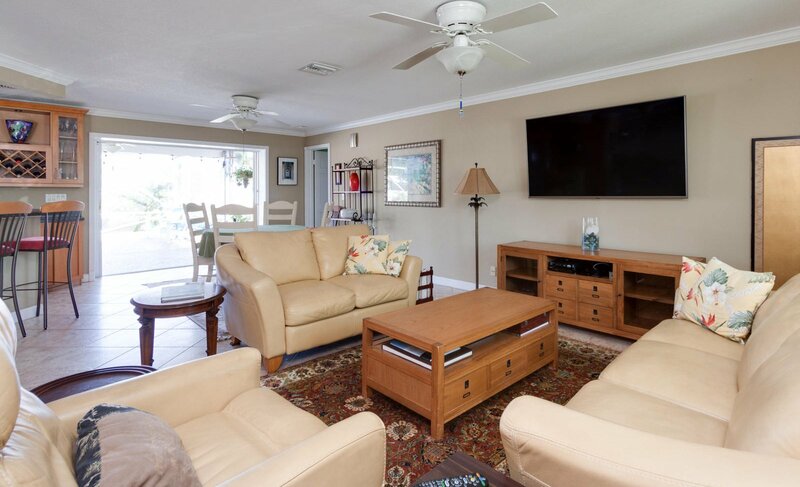 No detail overlooked, home offers a newer metal hurricane rated roof, newer gutters, resurfaced pool/patio, impact windows & accordion hurricane shutters, a portable generator with transfer switch, newer air conditioning, updated electric with surge protection, and a lushly landscaped lot with an abundance of fruit trees! 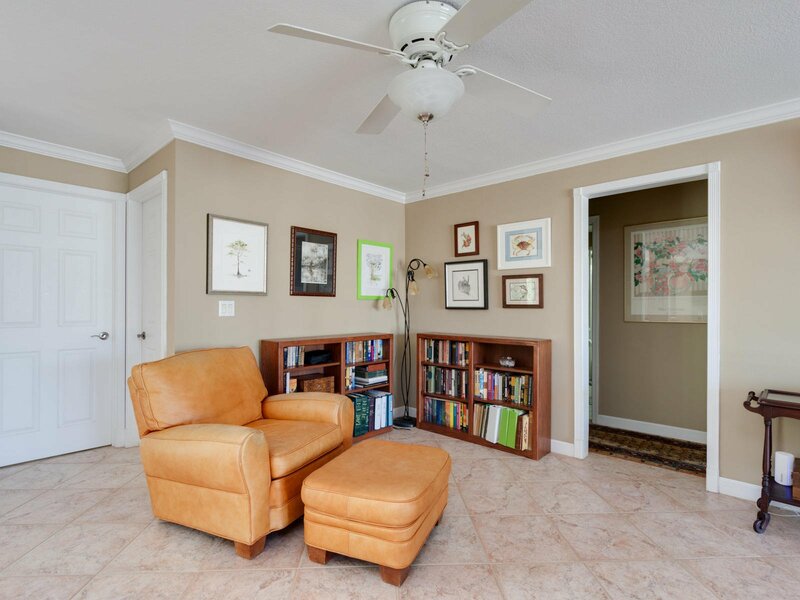 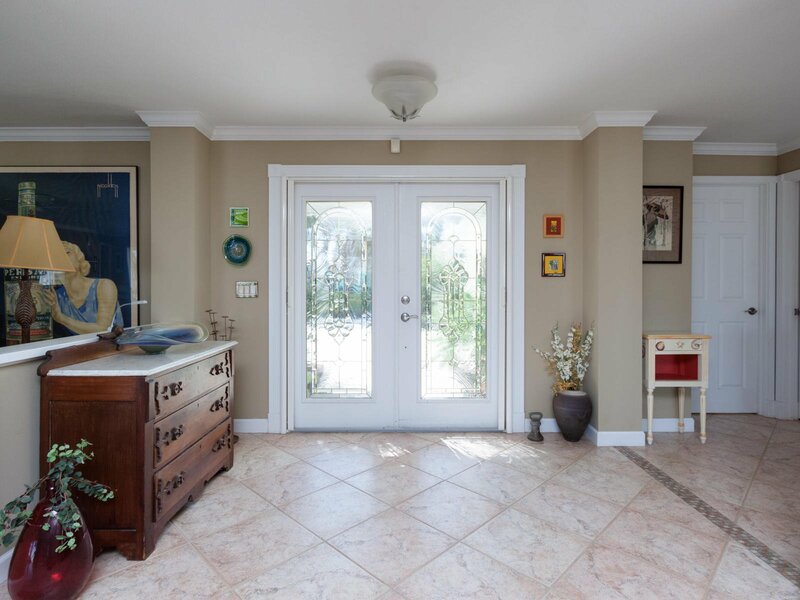 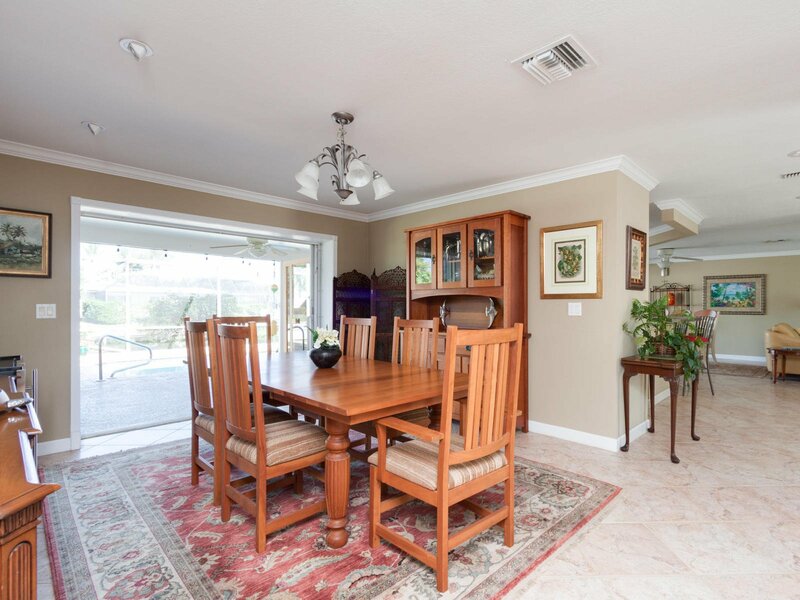 Spacious interior offers a redesigned open concept layout with updated flooring, a split floor plan, accent columns, neutral interior paint and updated crown and base molding. 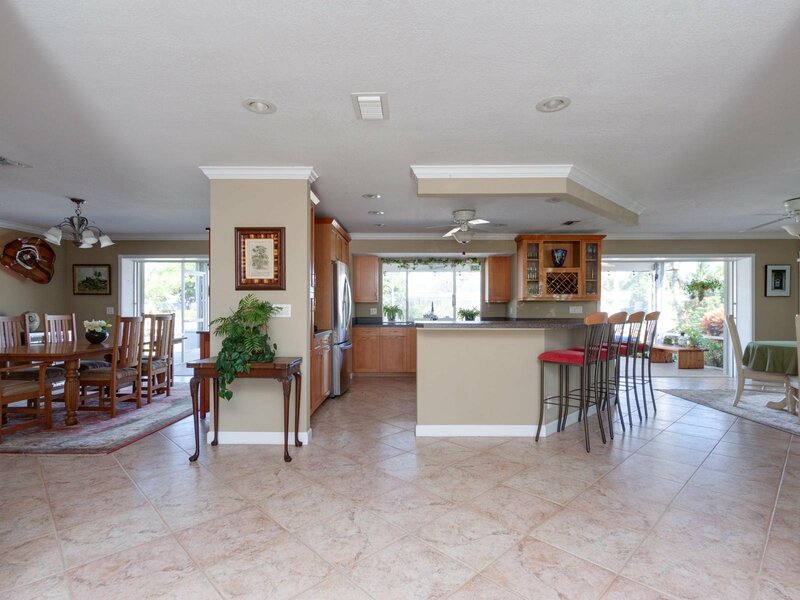 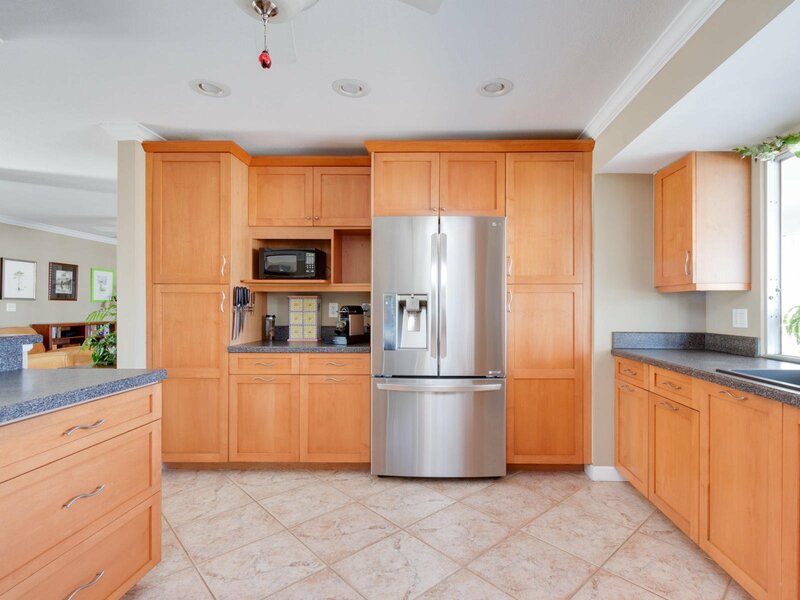 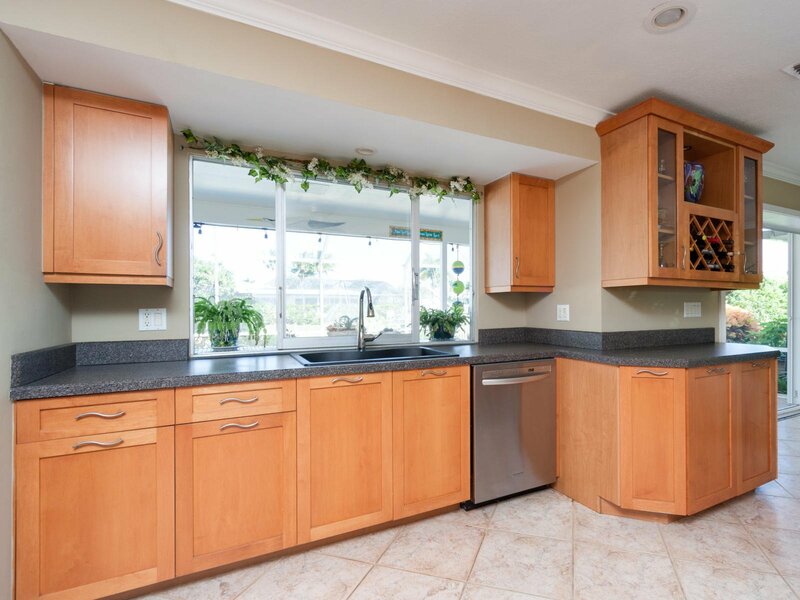 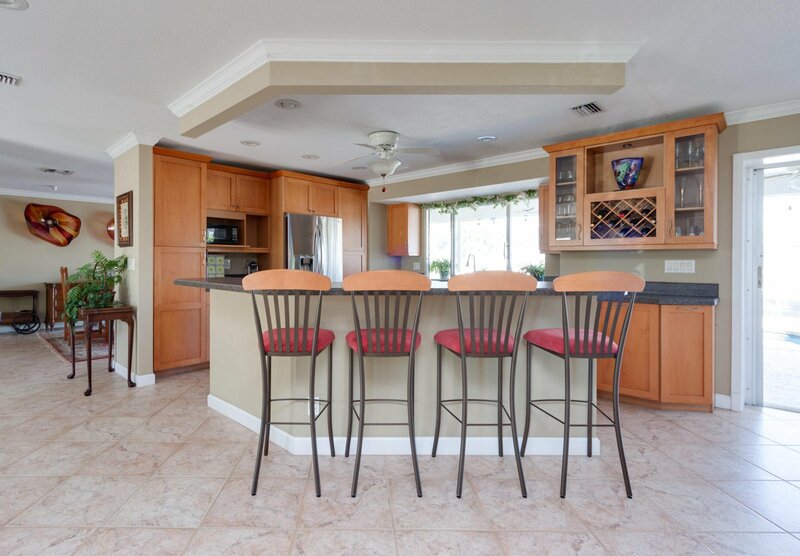 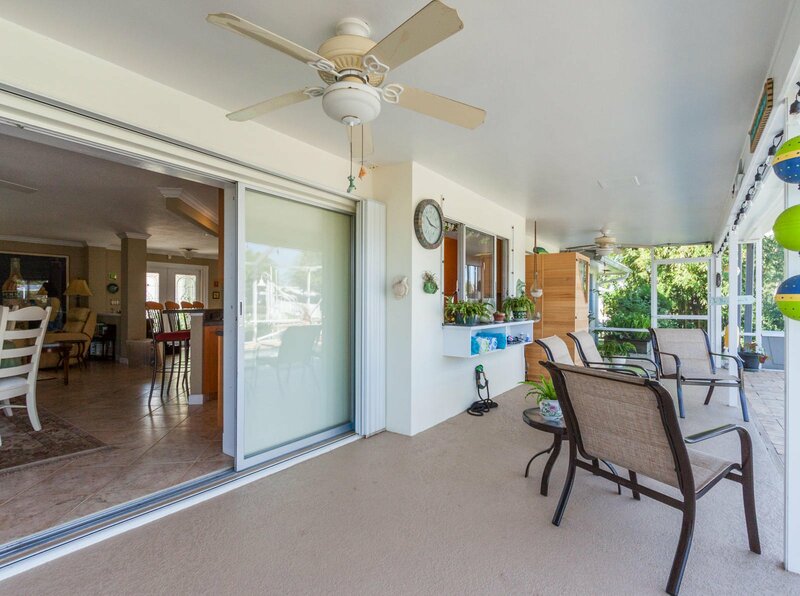 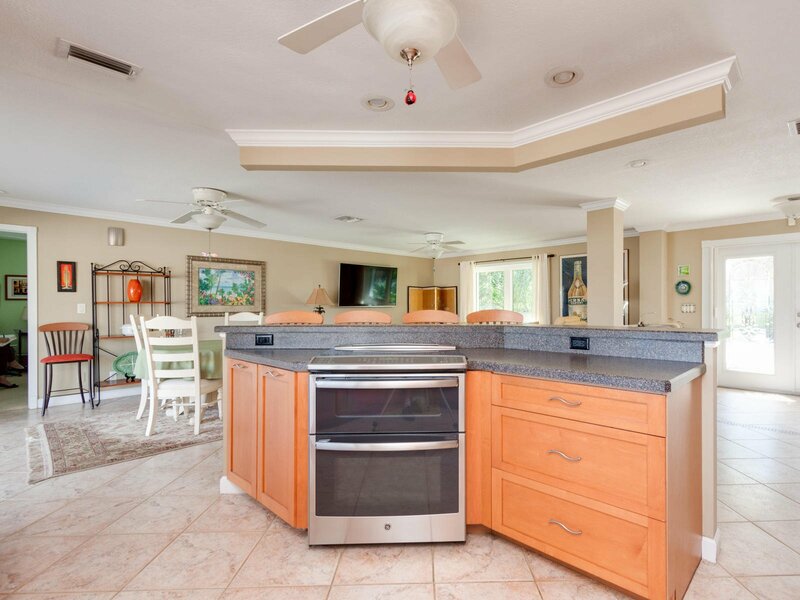 Kitchen is open to the living area and features updated cabinetry with pull-out drawers, newer stainless steel appliances and opens to the screened/ covered pool patio and sweeping water views. 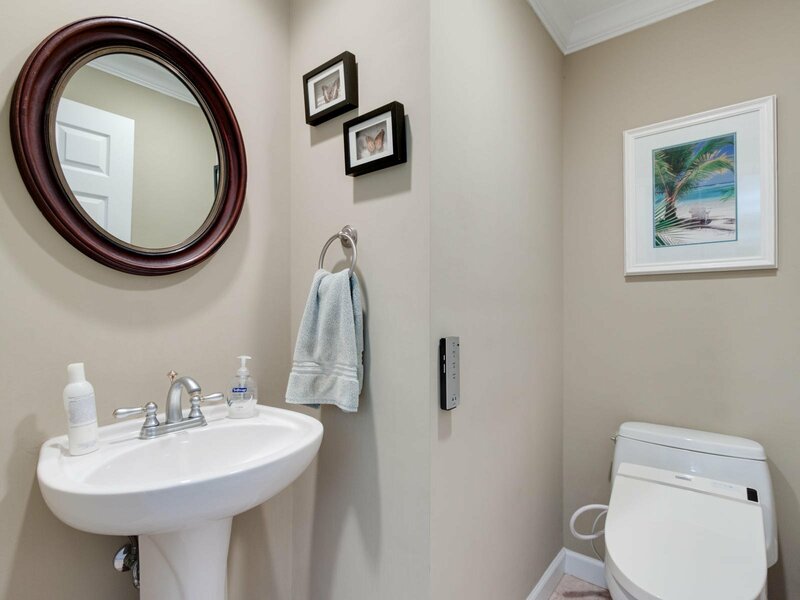 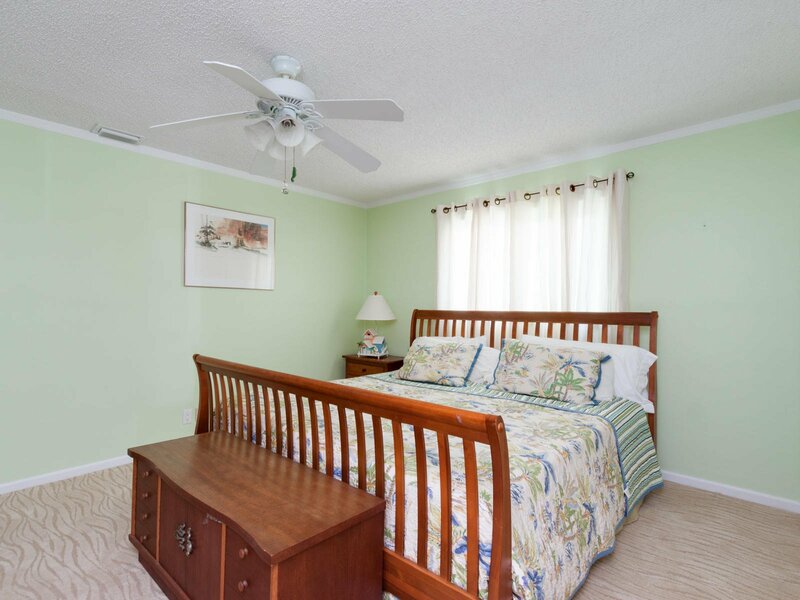 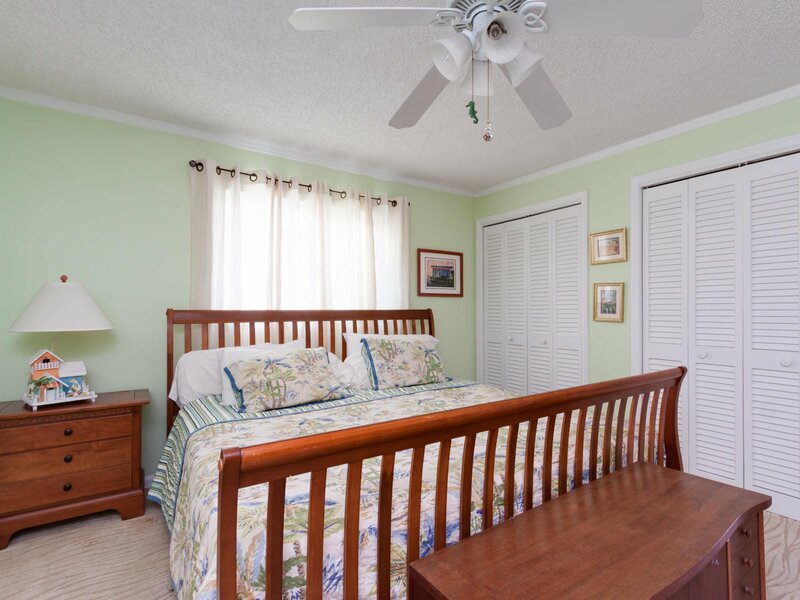 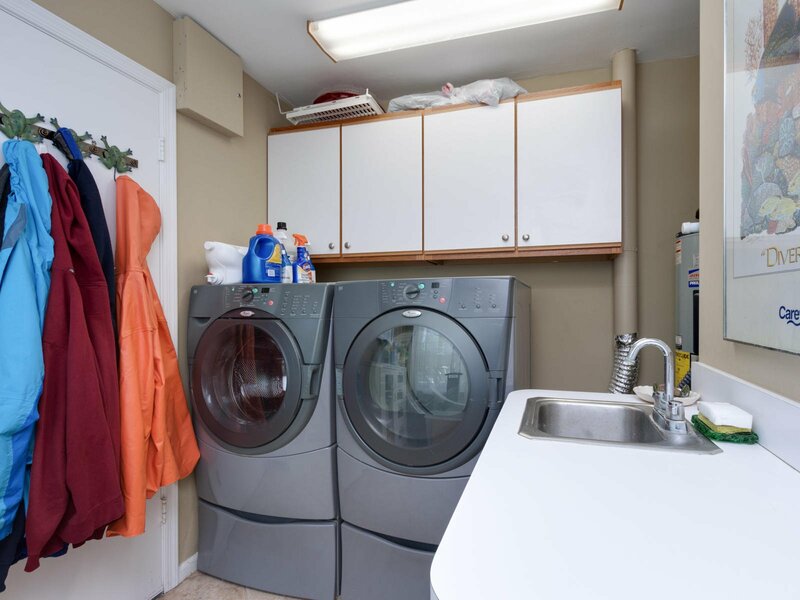 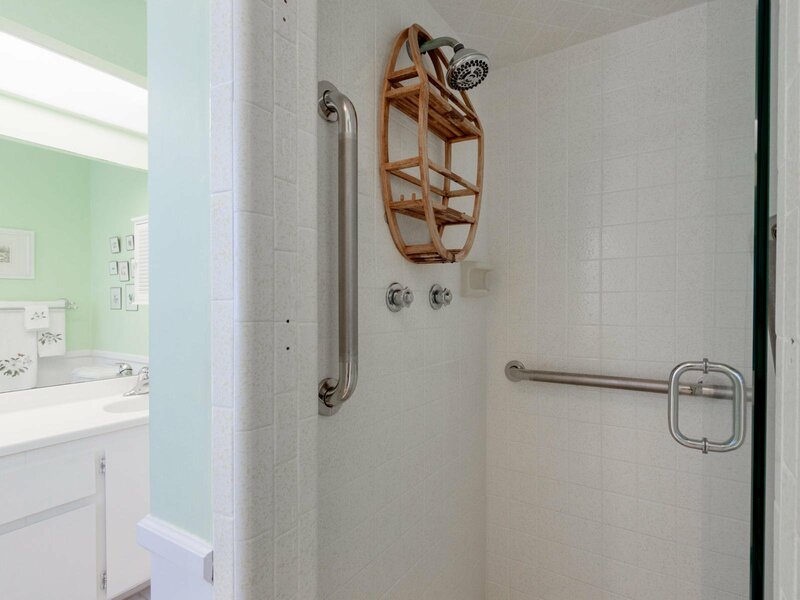 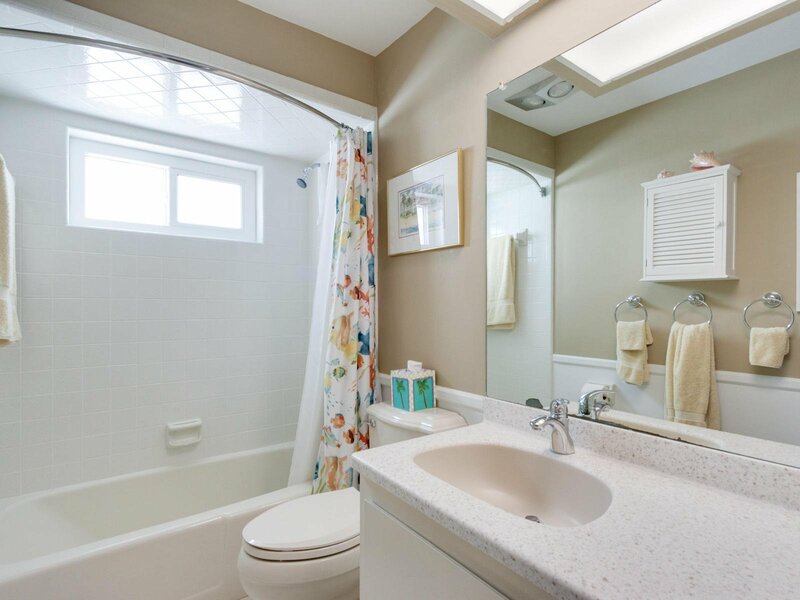 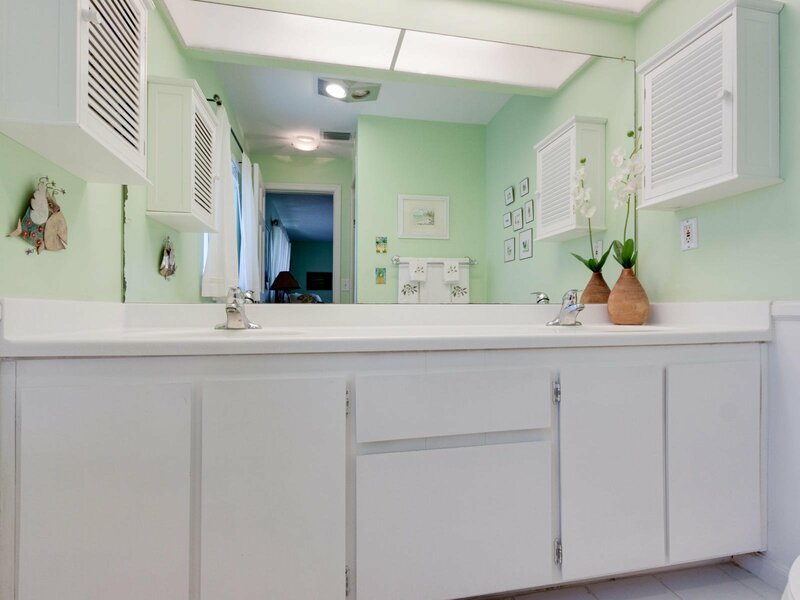 Master suite features a full en-suite full bathroom with some updates, newer carpeting and a walk-in closet. 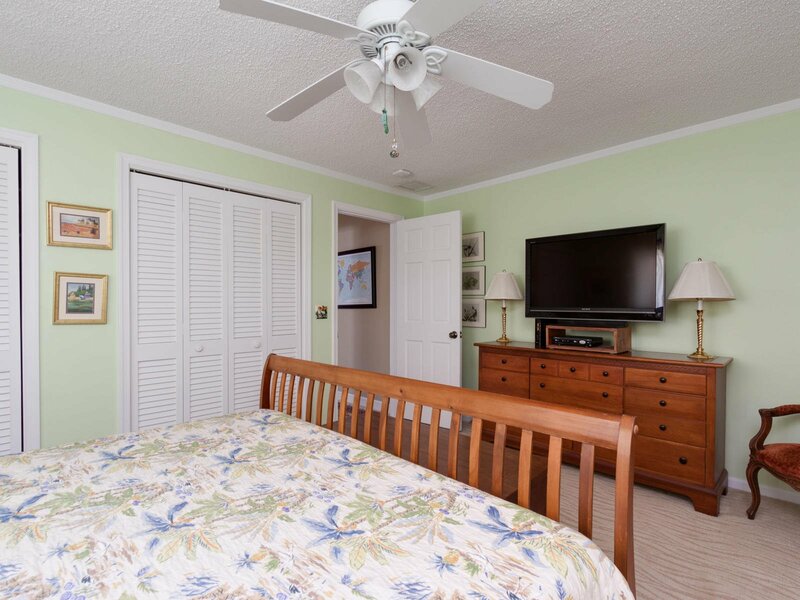 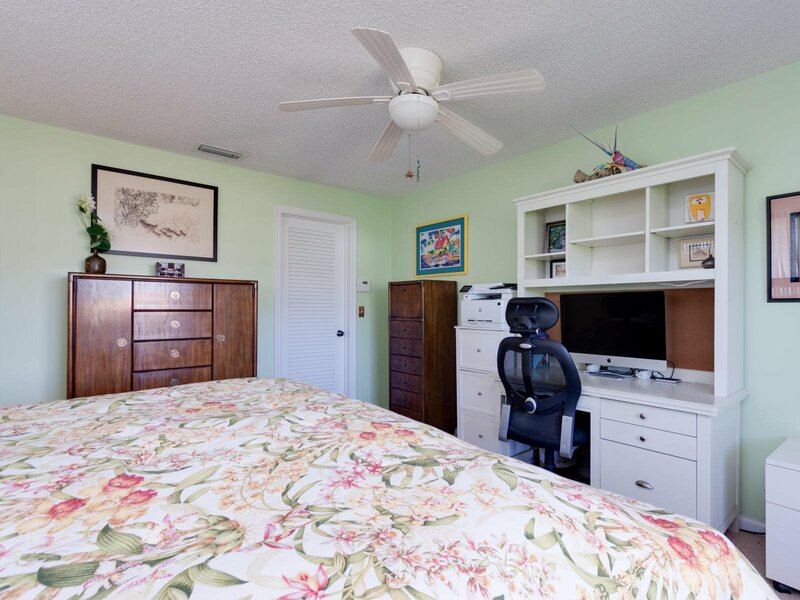 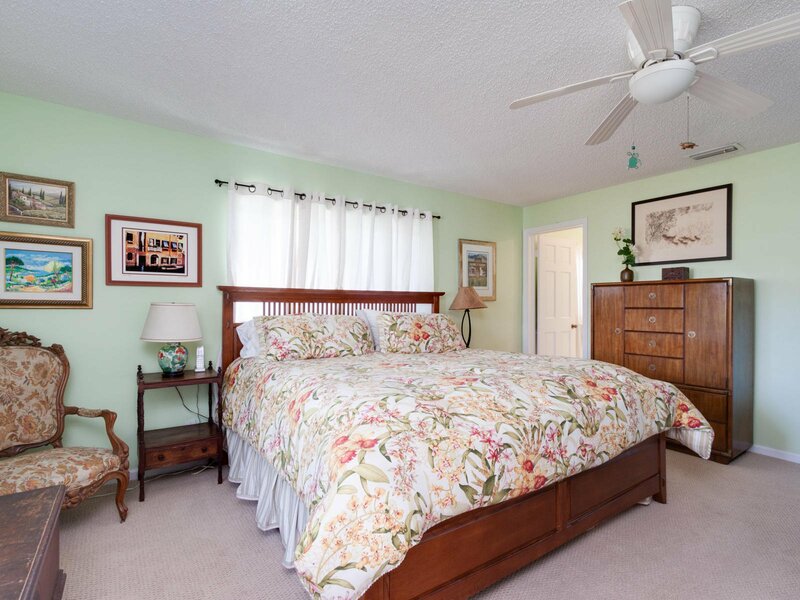 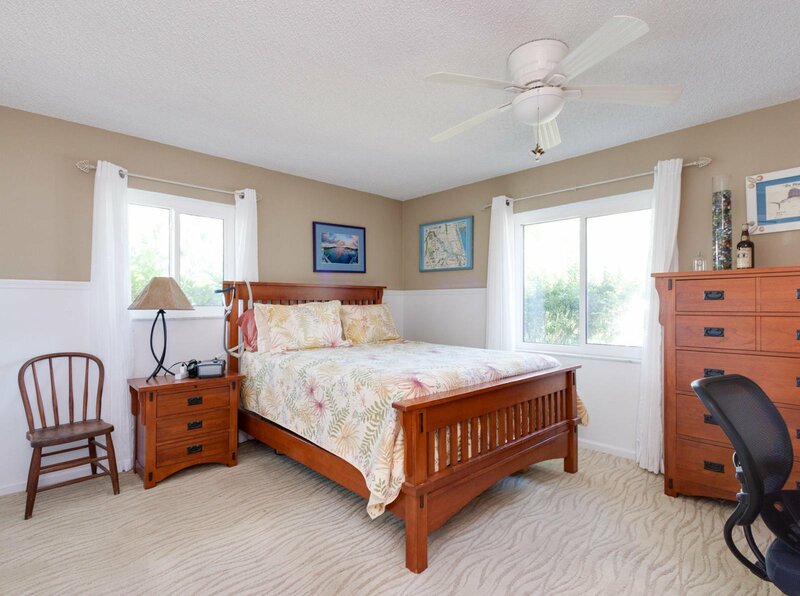 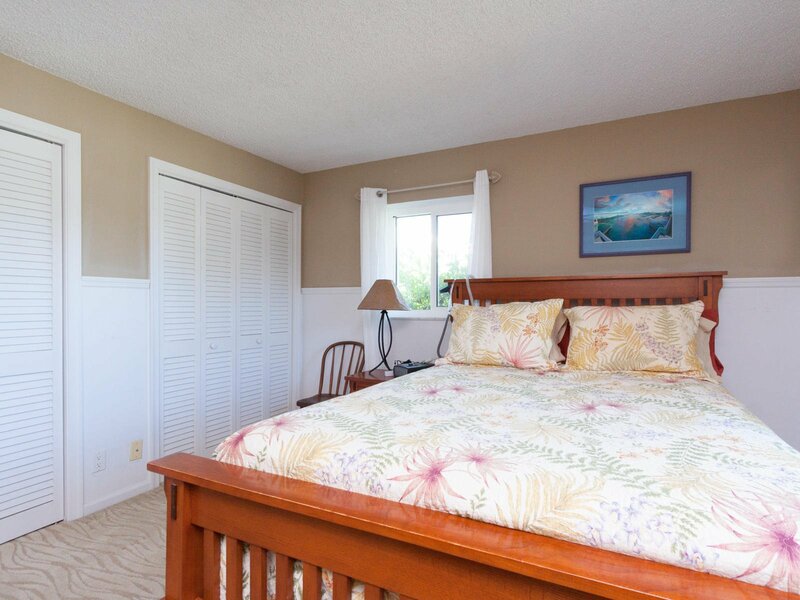 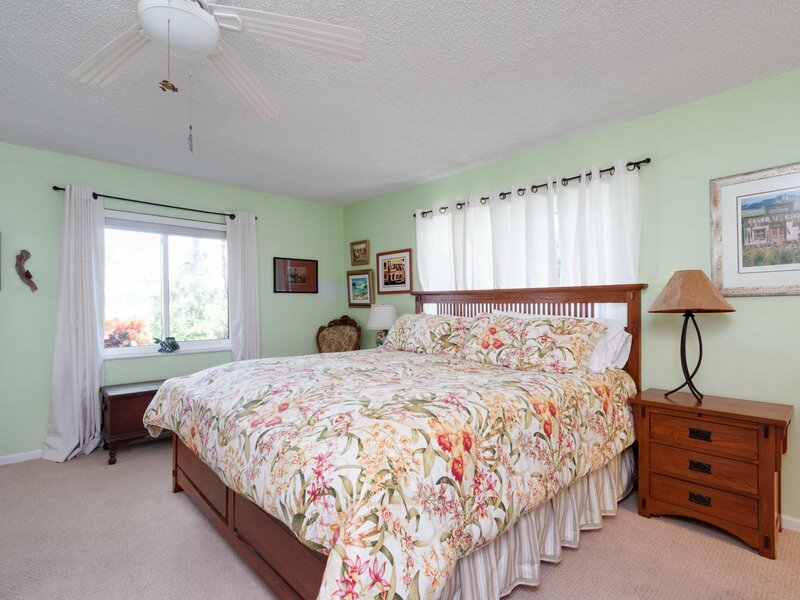 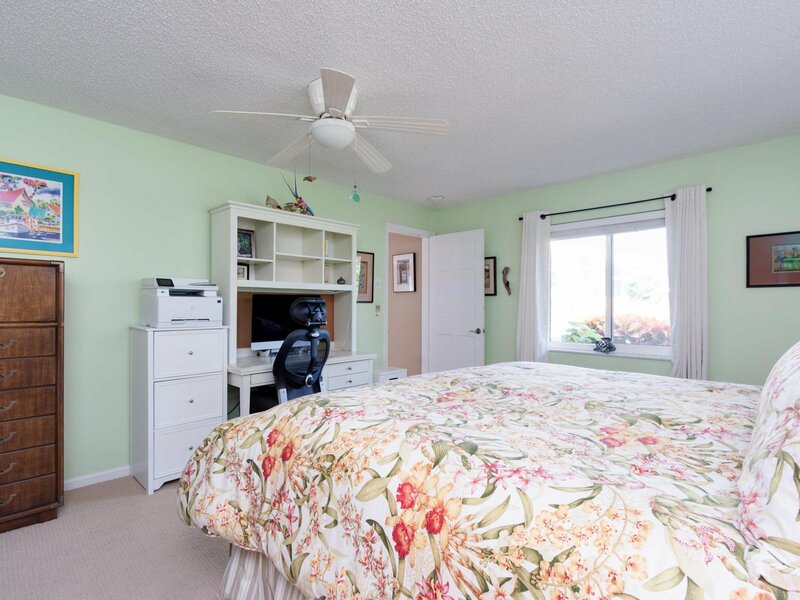 Guest bedrooms have newer carpeting, bi-fold closets and share an updated full bathroom. 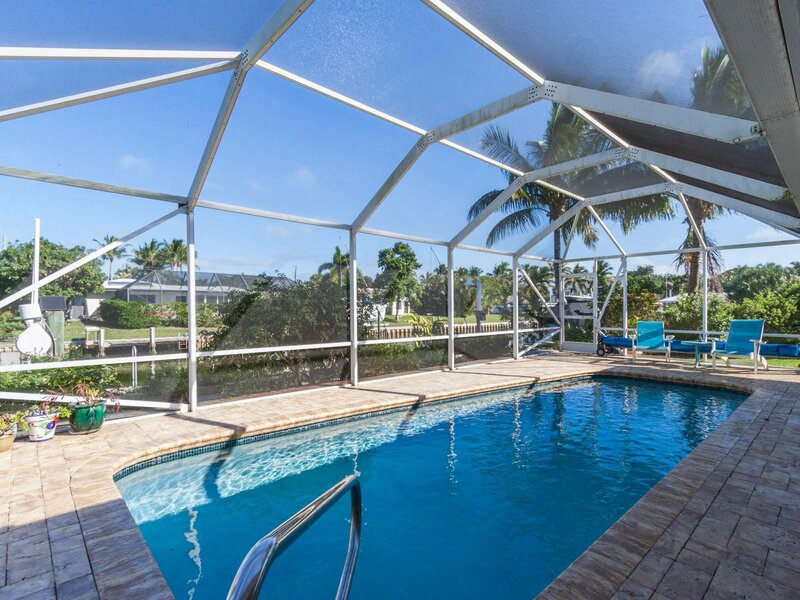 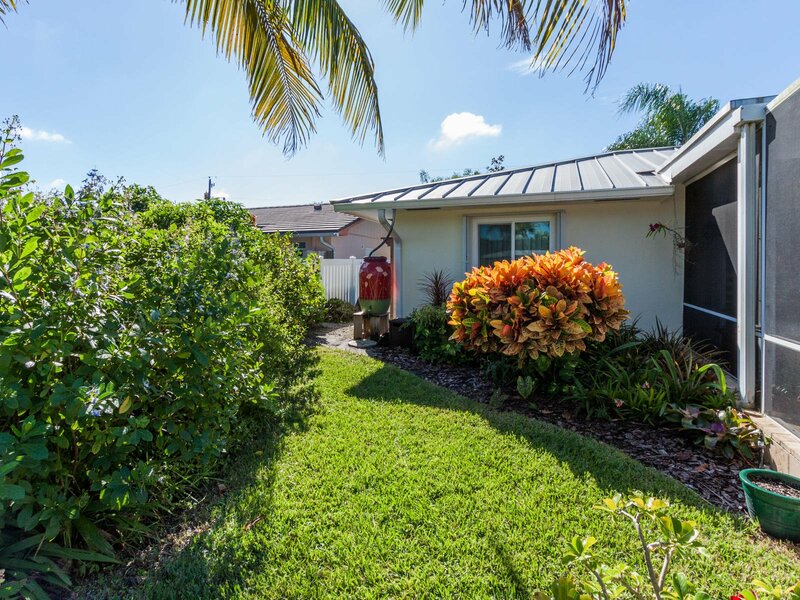 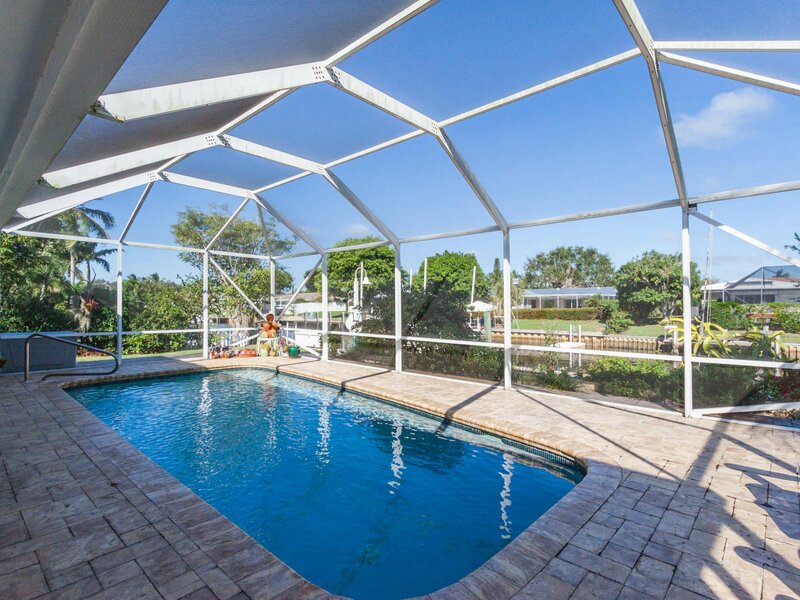 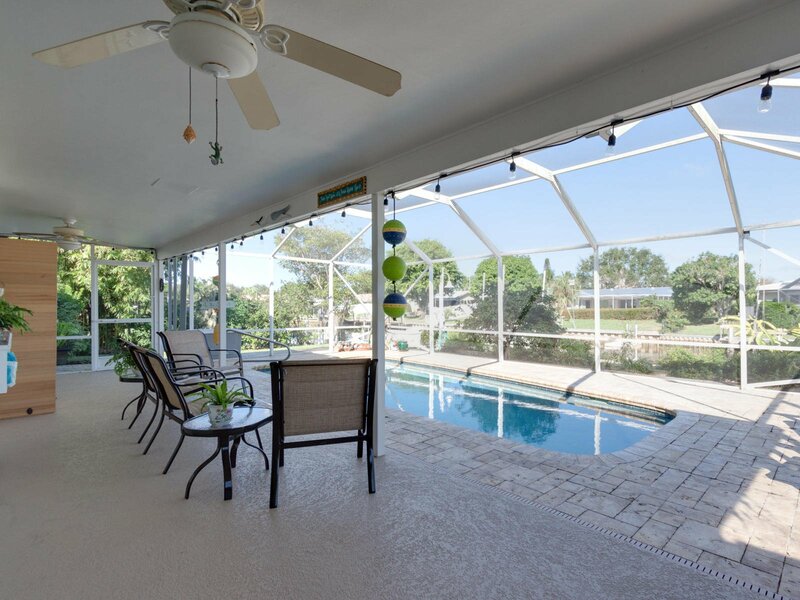 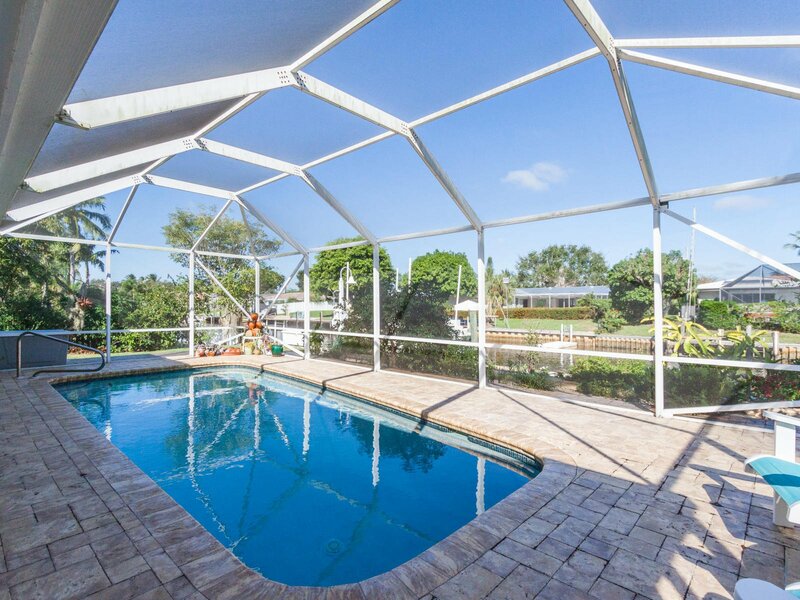 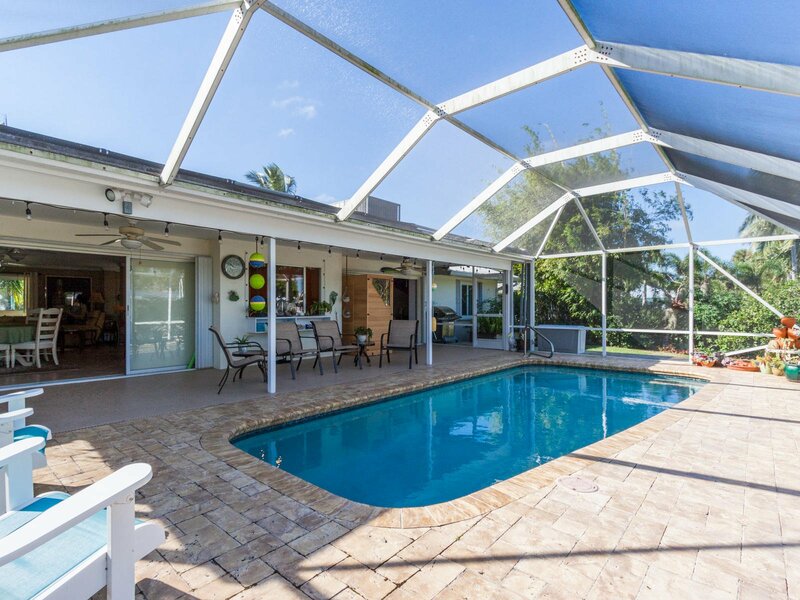 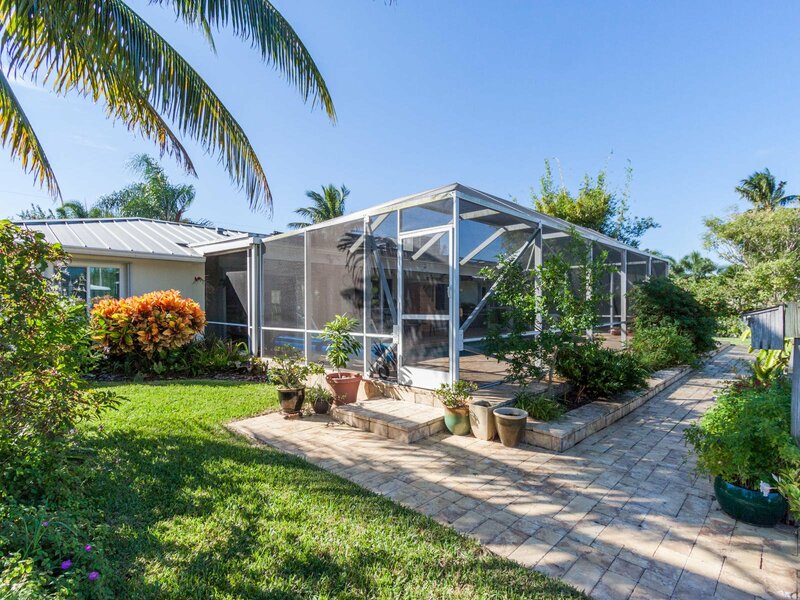 Exterior features boast an oversized screened/covered patio with newer PaverScape brick pavers, a resurfaced diamond-brite saltwater pool (2014), newer gas pool heater and six solar panels, a newer 250 gallon propane tank, an outdoor shower and recently painted exterior. 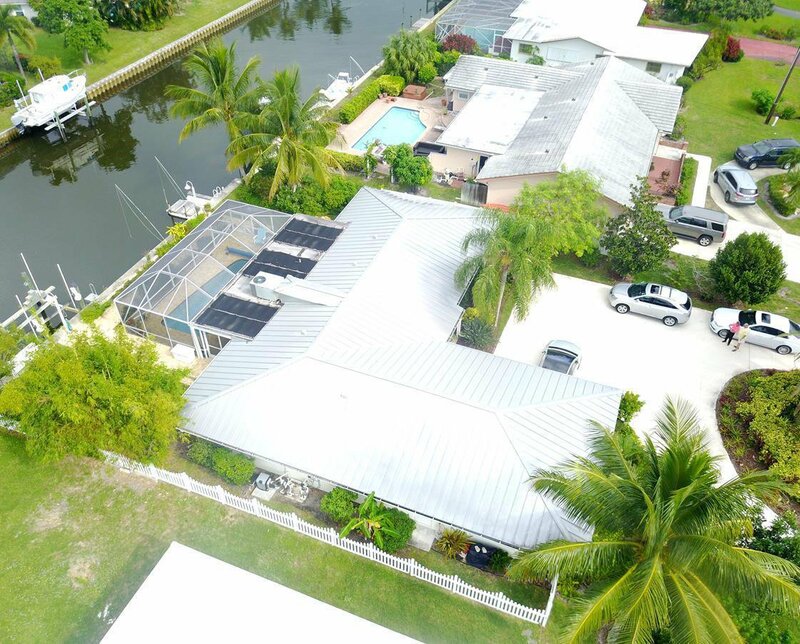 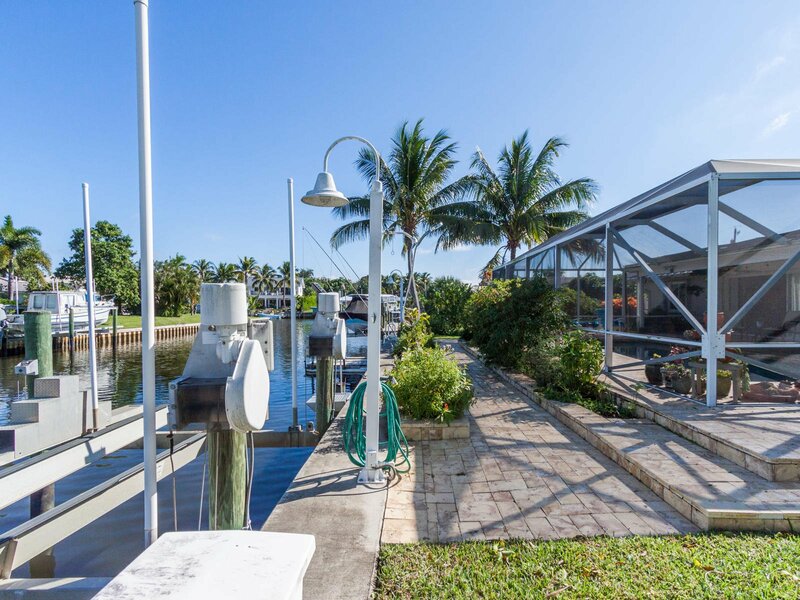 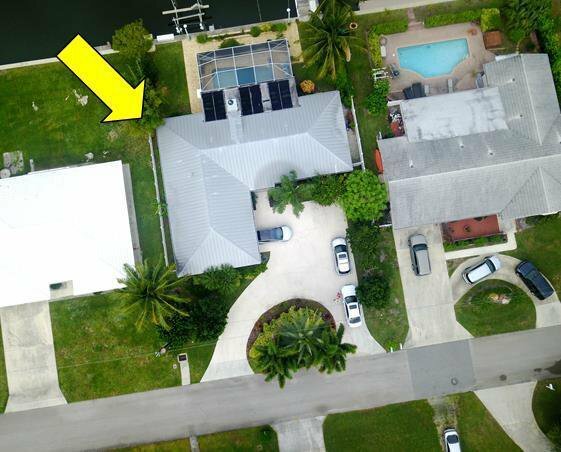 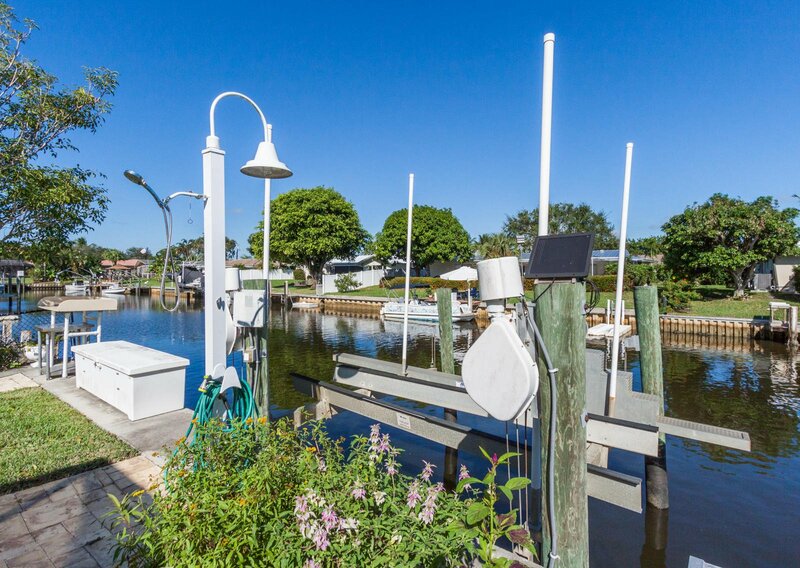 Home also provides for a private hi-tide floating dock with a 12K lift to accommodate up to a 35' vessel, a sport port for jet skis/kayaks, two dock boxes, newer dock lighting and a newer seawall. 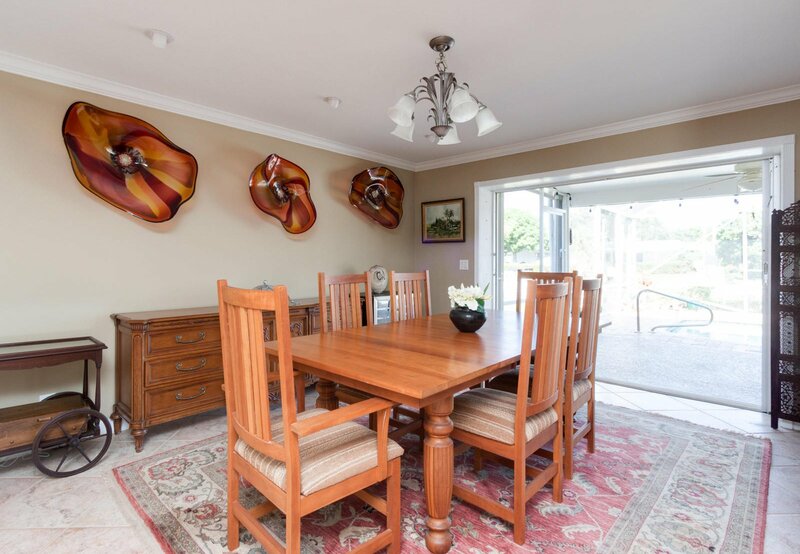 Dining room glass art on wall and portable sauna do not convey. 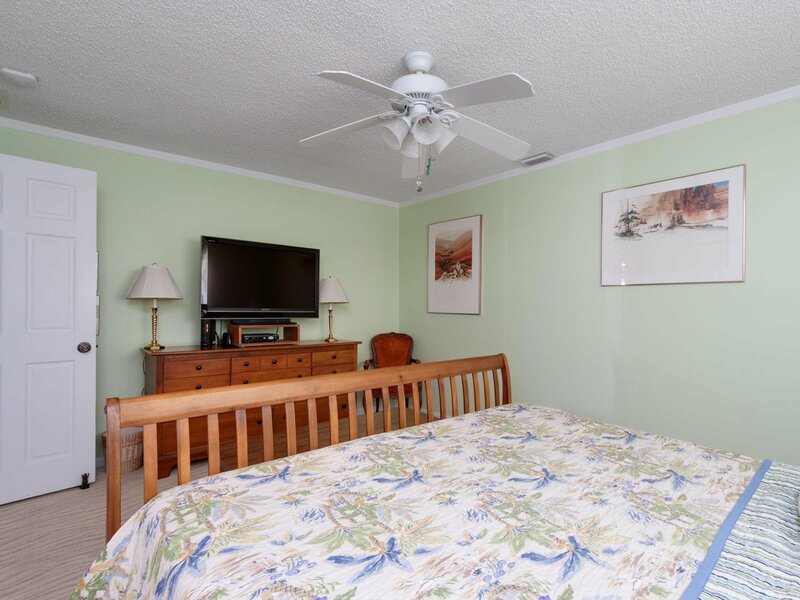 All sizes and fees are approximate. 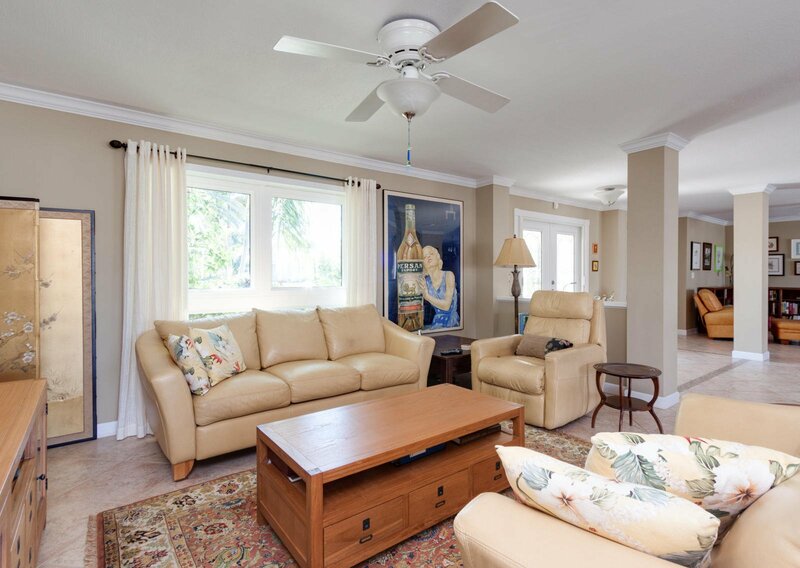 Showings are by appointment with 2 hours advance notice, LO to accompany.